Check out the details below for all of the fun interactive things we have happening at the Spokane Golf Show! Click on each row for full information. 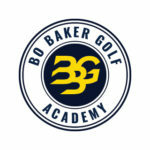 Bo Baker of Bo Baker Golf Academy and the students in the University of Idaho PGA Golf Management program will be offering FREE personal tips/instruction for any golfer during the show. Lessons will be approximately 5 minutes in length. The First Tee of the Inland Northwest coaches will be on-site to offer instruction and interactive activities for juniors of all ages. Activities include: putting green, hitting stations and games. 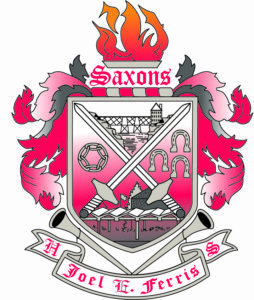 Be sure to talk with them about their spring sessions where every child is welcome. Scholarships are available as the First Tee of the Inland NW never turns a child away based on ability to pay. Visit with exhibitors that focus on youth in golf! From camps to lessons you’ll find it all for youth here! Wide World of Golf presents the TRY & BUY ZONE at the Spokane Golf Show. All attendees will be able to try the latest and greatest equipment from manufacturers in the demo zone at multiple hitting stations. 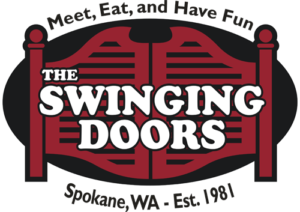 The manufacturers rep will be attending the Spokane Golf Show. Shop for the best golf deals at the Swinging Doors PGA Clearance Area throughout the weekend! Local golf courses PGA Professionals are blowing out their inventory at the Spokane Golf & Travel show. Here’s your chance to show your putting skills and win your way into the match play finals (Sunday afternoon) where you will putt head to head for great prizes. When you enter the contest you’ll automatically receive a voucher for a free appetizer at Tomato Street River Park Square. After that it’s up to you and your skills to win you one of our many GREAT prizes! Get in on the fun and attempt to break the glass at the Arby’s/NOVUS “Break the Glass” Challenge. Arby’s and NOVUS Glass will be sponsoring the “Break the Glass Challenge” at the Spokane Golf and Travel Show. Show visitors can experience the challenge of hitting a tough shot while enjoying the thrill of breaking glass at the same time. Find NOVUS at the indoor hitting net and get ready to shatter, break, crash and clink your way through a sheet of glass. Novus Glass has been a locally owned franchise in the Spokane and Coeur d’Alene communities for over 40 years. As the inventor of the first windshield repair system, Novus has revolutionized the Auto Glass industry worldwide. By offering the most consistent high-quality rock chip repair you can find anywhere, Novus has saved thousands of windshields from needing to be replaced. For the past 20 years, Novus has extended that commitment to quality and service to the glass replacement business. We are a full-service glass company with mobile trucks throughout the Inland Northwest, as well as convenient store locations. At Novus Glass, customers enjoy local service and have the comfort of a national lifetime guaranty on any work we do. For more information please see our website at www.spokanevalley.novusglass.com or call 509-228-9000 or 208-660-4862. Spokane, WA, February 15, 2018: Fixing glass is what they do best, but watch out! NOVUS Glass is getting ready to break some glass. NOVUS Glass and Arby’s will be sponsoring the “NOVUS Glass Break Challenge” at the Spokane Golf and Travel Show. For a small donation show visitors can now experience the challenge of hitting a tough shot while enjoying the thrill of breaking glass at the same time. Anyone attempting the shot will receive a coupon for a free sandwich at Arby’s and if you hit the glass, you will get a free deluxe meal courtesy of Arby’s. At last year’s event we raised over $1000, benefiting Feed Spokane. Feed Spokane is a local non-profit food rescue agency that works to eliminate both waste and hunger in our community. Feed Spokane works with organizations like Meals on Wheels, Union Gospel Mission and Blessing Under the Bridge. By rescuing food from businesses that might otherwise go to waste, Feed Spokane keeps community organizations food costs down and maximizes the reach of these programs. Compete all weekend in the Providence Children’s Hospital NICU Long Drive Contest at the Spokane Golf & Travel Show! $5 chances to win prizes with proceeds going to the Neonatal Intensive Care Unit at Providence Children’s Hospital here in Spokane. *NEW this year – using SkyTrak Launch Monitors to provide realistic results! Finals for all divisions will be held at 2 PM on Sunday. Multiple Divisions of great competition. Men’s & Women’s Open, Men’s & Women’s Senior, Boys & Girls Junior. All divisions awarded prizes. At Providence Children’s Hospital, you can take comfort in knowing that our hospitals are here to care for premature and critically ill babies. Providence Children’s Hospital, located on the Memorial Campus, is the first hospital in El Paso to be designated by the Texas Department of State Health Services (DSHS) as a level IV NICU, the highest level of care available for premature and critically-ill newborns. The Providence Children’s Hospital NICU is equipped to care for a wide range of illnesses and conditions, including prematurity, infection, respiratory distress, complex birth defects, and is fully prepared to perform surgery when needed. Our NICU is equipped with a team of experts including Neonatologists, Neonatal Nurses and Respiratory Therapists who are available around the clock to provide care. Babies that need to go to the NICU are usually admitted within the first 24 hours after their birth, typically because they are born prematurely, show signs of a complication in the first few days of life or have difficulty during their delivery. Through the help of our Neonatal Emergency Transport Team (NETT) that is available 24/7, we’re able to help infants born elsewhere get the care they need. This specialized team consists of neonatal registered nurses and respiratory therapists who transport seriously ill newborns that require our specialized services from other hospitals. 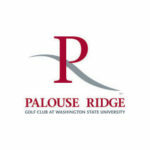 Thanks to Play it Again Sports, if you’re in the market to buy gently used clubs, be sure to come see them at the Spokane Golf & Travel Show or at the Play It Again Sports store. All consigned product needs to be brought to Play It Again Sports by FEBRUARY 10th, in order to be consigned at the show. Consigned clubs not sold at the Spokane Golf & Travel Show will be consigned at Play It Again Sports-Spokane or returned to you, your call! Tell us when you bring your merchandise in for consignment if you will be returning to pick it up if not sold. * Please do not bring your equipment to the Spokane Golf & Travel Show for consignment. All gear must be brought to the store prior to Sunday, XXXXX. Play It Again Sports accepts and sells brand name, gently used sports gear all year! Stop by their store to see what your new hobby will be this season! While you’re at the Spokane Golf & Travel Show grab a beverage, eat, meet and have fun at the 19th Hole. 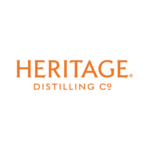 Enjoy beer from Micelob Ultra and spirits from Heritage Distilling! Don’t want to sit? Then take your food and drink with you while you wander the show. 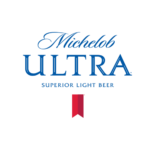 Or better yet buy your favorite golf course a beer – they’ll love you for it! With your admission to the Spokane Golf Show you will receive FREE admission to the Spokane Great Outdoors and Bike Expo. Don’t let the indoor setting fool you. Discover fun, entertaining and engaging activities throughout the show. A bike demo area; product samples and interactive displays; contests and giveaways; and free clinics, demonstrations, and speakers all weekend long! A two-day celebration of all the awesome outdoor recreation and travel opportunities and the amazing lifestyle we enjoy here in the Inland Pacific Northwest. In partnership with the Spokane Golf Show, the two shows will be connected, allowing ticket holders to freely move through both shows.